India is floating a plan to spur development of 10,000 renewable microgrids and mini-grids to help bring electricity to 237 million people living in energy poverty. Issued this week by the Ministry of New and Renewable Energy, the draft plan calls for 500 MW of installations by energy service companies (ESCOs). The ministry defines microgrids as renewable-based distributed generation, under 10 kW, which can operate on a stand-alone basis or connected to the central grid. Mini-grids are the same except larger, over 10 kW. Funding for the installations would come from the federal government, states and commercial sources. To encourage ESCOs into the market, the ministry plans to set up a special category of private developer/operator known as Rural Energy Service Providers. The RESPs would receive special incentives and privileges, including upfront capital from the ministry and streamlined approvals. Project developers would become RESPs under a phased process. Before they receive the designation, they can install 10 projects (up to 200 kW) with ministry incentives. The government will then evaluate the performance of the microgrids and mini-grids for two years. 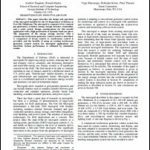 If they are deemed successful, the developer earns the RESP title and can install more microgrids and mini-grids. The ministry envisions a large pool of RESPs forming to build and operate the microgrids and mini-grids. Those that work in areas where there is no or little grid access would receive funding preference. 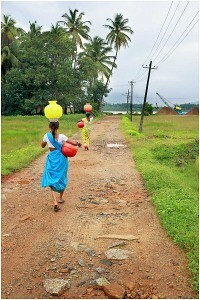 The ministry acknowledged, however, that it will not be able to pay for the microgrid and mini-grid effort on its own. “Certainly, many more such supporting and practical measures will be required to encourage ESCOs and investors into the micro and mini grid space,” said the ministry in the 25-page proposal. To that end, the ministry is encouraging states to create “an environment able to minimize the risk associated with such investments, and mobilize capital,” said the proposal. India floats plan to combat energy poverty with 10,000 #microgrids. In addition to offering grants and subsidies, the states may consider waiving taxes on microgrids and mini-grids, the ministry said. The ministry also is exploring ways to to boost financial lending for the projects, and is encouraging financing through institutions like the Indian Renewable Energy Development Agency and the National Bank for Agriculture and Rural Development. Developers may build either AC or DC projects. They must use primarily renewable energy, but can incorporate some fossil fuels as last-resort back-up power. The government sees the installations as a way to accelerate economic activity in the rural, off-grid areas. To that end it encourages the microgrids and mini-grids to offer not only power, but also focused services to energize Internet access, medical and educational services, potable water, skills and training. The microgrid or mini-grid would charge fees for the power and extra services. The ministry seeks comments on the plan by June 20, sent to tarun.singh@nic.in. 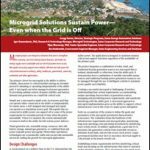 Track news on microgrids and mini-grids in India by subscribing to the Microgrid Knowledge newsletter. It’s always free. We do not ask for your credit card number. Thanks Rajan! I think the link should work fine now. The systems here are too small. The lesson of Dharnai, Bihar, is that we may not assume a second class solution is good enough for the poor simply because they have nothing now. The planning must include growth to encompass refrigerators, the least, if not induction cooking. Lighting and phone charging are yesterday’s, and largely easily solved, problems. These systems should not even be called microgrids – they are solar home systems (SHS). I agree wholeheartedly with Dr. Bhave. Benefits are multiplied many-fold when the systems are significantly sized to handle numerous loads beyond a few lights and phone charging. There are economic development, productivity, public health, benefits from larger systems that are not achievable with the smaller scale solution. A somewhat more ambitious sizing and looking to incorporate productivity and local economic development benefits (and refrigeration) is much more apt to lead to a marked increase in the local economy. What’s the update on this? Was this policy move approved and is it part of India’s new targets?